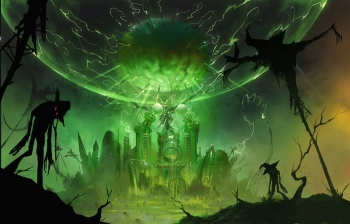 OZombie lead American McGee says he needed $1.5 million to make it work. American McGee, the most American American, recently pulled the plug on his ambitious OZombie Kickstarter, citing a general lack of interest, as well as some legal troubles as the main reasons behind its cancellation. But he has now told Internode that he would have cancelled the Kickstarter even if it had reached its $950,000 funding goal, claiming that his "vision" of the game needed at least $1.5 million to work anyway. "Let me put it to you this way, with OZombie we set that goal at $900,000 but I know that we actually needed $1.5 million to do that game." So why didn't the man just ask for $1.5 million from the get-go? "If I'd come out and said, 'I need $1.5 million' from the beginning, we would have been told that we were being crazy - we were already told we were crazy! - and yet, with the success that inXile and Double Fine have had, where they're asked for half a million and they get three, there is something at work there." Unfortunately for McGee, rather than asking for half a million and getting three, he asked for almost a million and only got $141,513. McGee, who has seen failure through Kickstarter with OZombie, but also success with Alice: Otherlands, doesn't think that crowdfunding is going to replace traditional publishers any time soon. "I think Kickstarter's great, I love it, but at the same time I think there are things that traditional investment or traditional publisher funding can do that Kickstarter and other crowdsource platforms cannot do, and in fact may never be able to do."